With so many people heading to the Croatian coast every summer, it’s becoming harder to escape the crowds and enjoy a peaceful holiday. 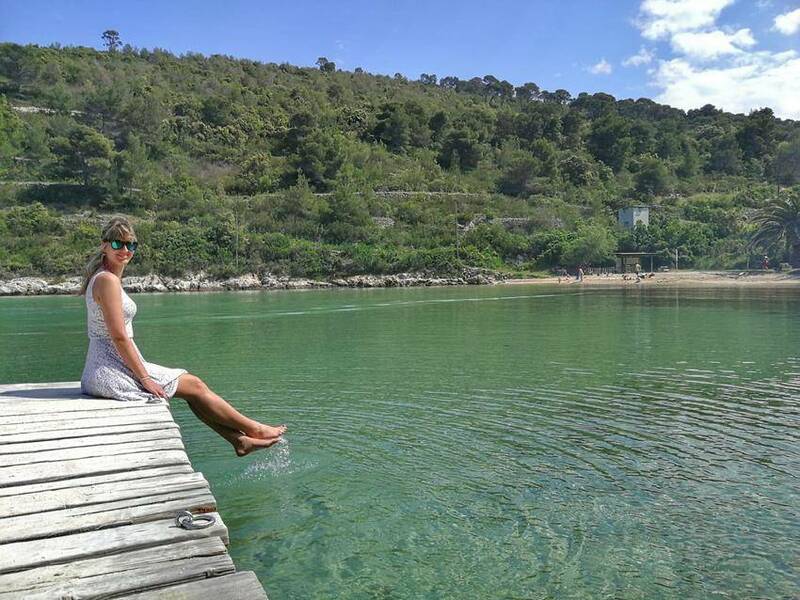 If you are looking for unspoiled nature and stunning beaches on the Adriatic sea, you just found the perfect place: Vis Island. Sitting off the Dalmatian coast, this remote rocky island is one of the most mysterious places in Croatia. Vis is the farthest inhabited island from the Croatian mainland; situated beyond Hvar and Brac, it sits basically on the halfway point between Croatia and Italy. Vis is hard to reach, and its inaccessibility makes it both an exciting and exclusive place to be. It is made up of 90.26 square kilometers of stunning beaches, bays and two cities where life goes as slowly as it has for ages. No, this paradise hasn’t been spoiled yet. I got to explore Vis few weeks ago and I created this guide to make it easier to plan your own trip. Vis might not be a typical backpacker’s destination, but it’s definitely worth the trip. With this post, you will learn about the various things to do in Vis, recommended Vis accommodation and other survival tips. 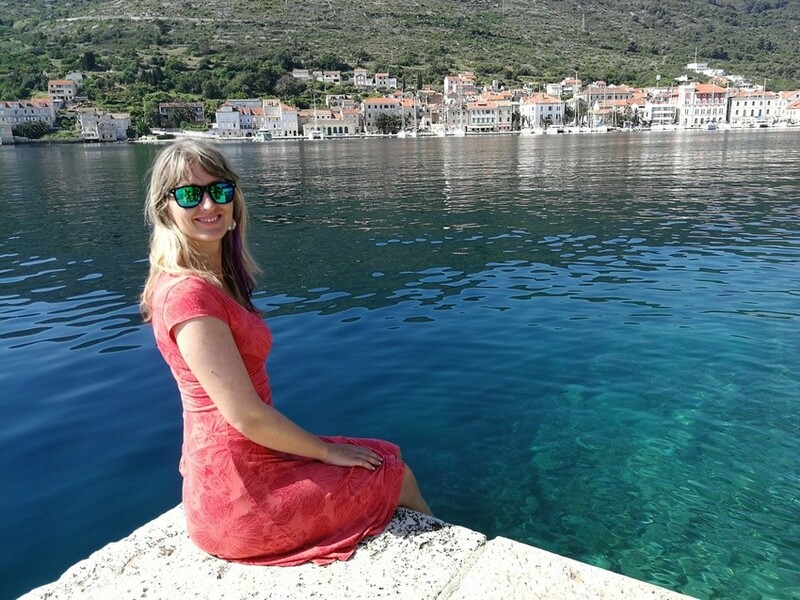 Why should you visit Vis, Croatia? How can you reach Vis Island? What is the best time to visit Vis? Unspoiled nature, great beaches, a stunning underwater world, interesting history and great local cuisine; Vis offers a little bit for everyone. Spend your morning hiking and then retire to the beach in the afternoon. 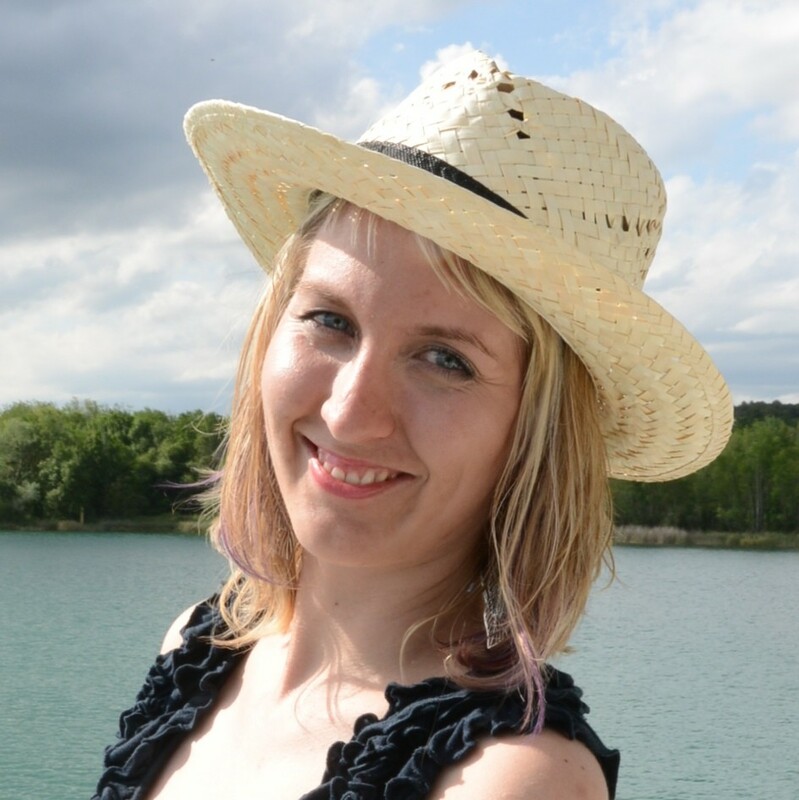 Overall, it is more authentic and laid back compared to what you can experience in Dalmatia. Plus, it’s really very photogenic. No wonder it was chosen as a shooting location for Mamma Mia: Here We Go Again!, the sequel which is coming nearly two years after the first one. The original Greek island has been overdeveloped and changed so much that it was no longer possible to shoot there. Remember to allow enough time for getting to Vis. There are no direct flights, and the nearest airport is in Split. This city is the gateway to the islands on the Dalmatian coast. Book your flight tickets on Kiwi.com, my favorite flight search website. If you are arriving in Croatia from further away, or your schedule is tight, I recommend spending one night in Split before travelling further. 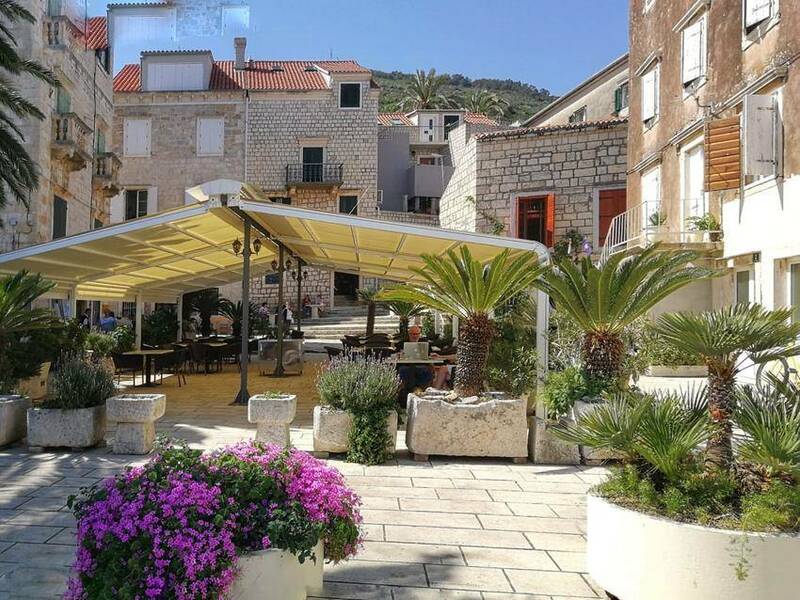 There are plenty of good hostels in Split where you can rest and recover from jet lag. From Split, you can travel by ferry or speedboat. The ferry takes 2,5 hours and departs twice a day (50 HRK). The speedboat is much faster, only taking about one hour (25 HRK). You can buy the tickets at the Jadrolinia office in Split. I have used both methods of transportation; the ferry is the more reliable option as it will make the journey in any weather. The speedboat is much faster but it won’t take off if the weather is stormy or too windy. The high season for Vis is July and August, when many sailboats anchor near the island. The weather is awesome but the prices are at their peak, too. There are several local festivals held in the summer, so there should be something to see every few days. The best time to visit Vis is in May or September. Those are still considered the low season but the weather is usually good and you can enjoy beach time. I visited Vis in the second week of May, and the temperature was already pretty hot (around 30 degrees). The sea was still cold but that didn’t stop me from going swimming every day. Vis island is divided into two major sections, with two cities each found in a different bay: Vis in the southeast and Komiža in the southwest. The island’s coast is dotted with beaches, caves and bays. I recommend staying in the Vis downtown area; that way, you will always be within walking distance of the harbor, which makes both your arrival and departure smoother. There are daily buses between Vis and Komiza, however if you want to see more of the island, renting a scooter is a good idea. There really isn’t a shortage of things to do in Vis, Croatia. I have covered ten activities below: some can be combined and done in the same day. Awarded as the top beach in Europe in 2016 (there must be something about it, getting votes from 10,000 holidaymakers), Stiniva is known as the prettiest beach in Vis Island. The beach itself is actually pretty small, but its unique settings make it a must-see: Stiniva is situated in a narrow bay surrounded by steep, 35-meter-high cliffs. Stiniva beach is hard to reach, so you have to plan how to get there. Walking is possible but you’ve got to have trekking shoes and be prepared for an adventurous hike that you many given up on before reaching the beach. Going by boat is the safest option; you can organize a boat taxi from Rukovac. The water is crystal clear but keep an eye out for jellyfishes; I saw a few around and decided not to swim. It seems it was just bad luck; my guide told me that this problem is not so common at this location. But don’t worry; there are many more beaches on Vis and you can find a new one every day. Once primarily a fishing village, charming Komiža town takes pride in being the more elegant of the two cities on the island. Walking around, you can see houses from the 17th and 18th century all lined up in small lanes. The harbor, situated at the center of the town, has been used since as far back as the 12th century until now. The nearby promenade and its cafes and restaurants are pleasant and chilled. 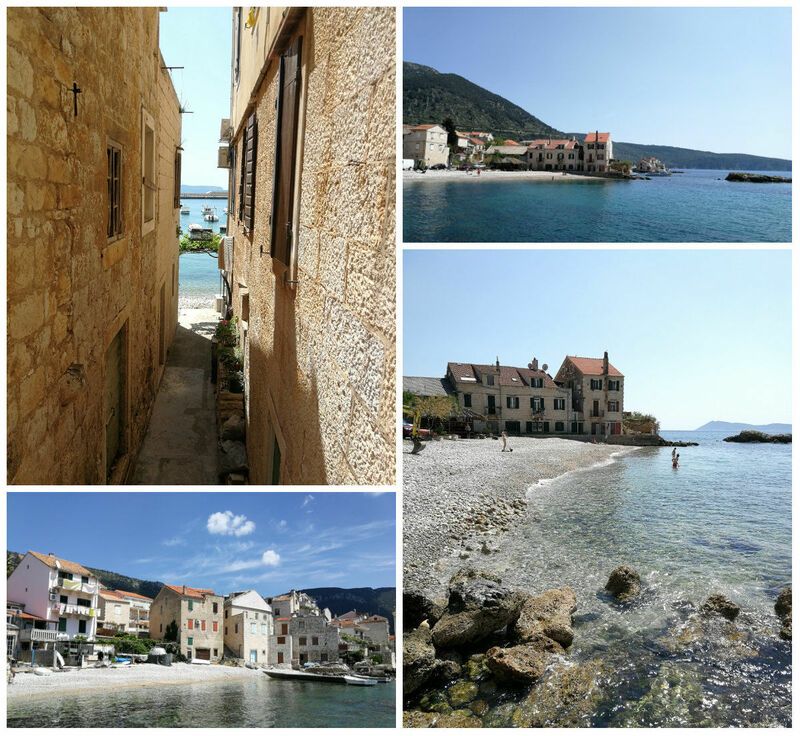 Wandering around the old stone streets of Komiža is definitely one of the best things to do in Vis. The city is situated at the foot of Mt. Hum and the views are amazing. 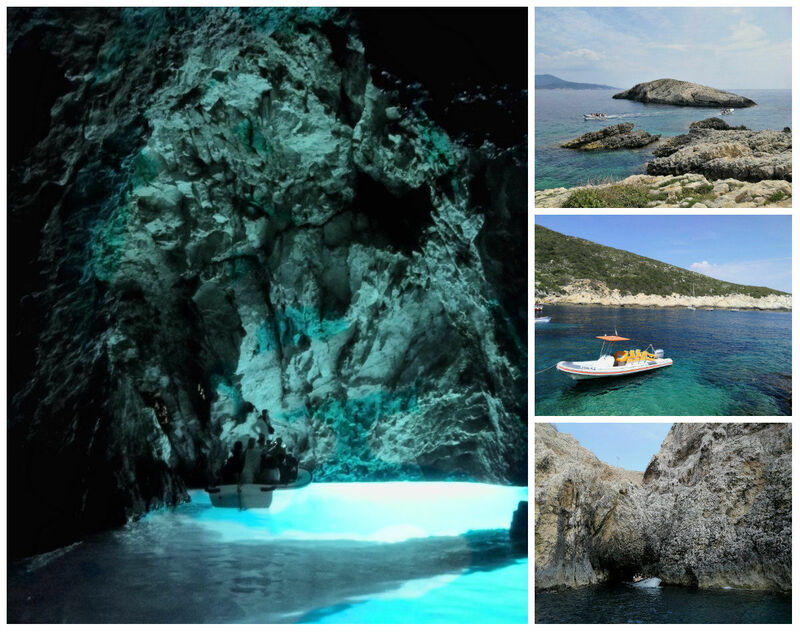 You can spend the day in town or you can organize a trip to Blue Cave from its beach (on the east side of the town),. 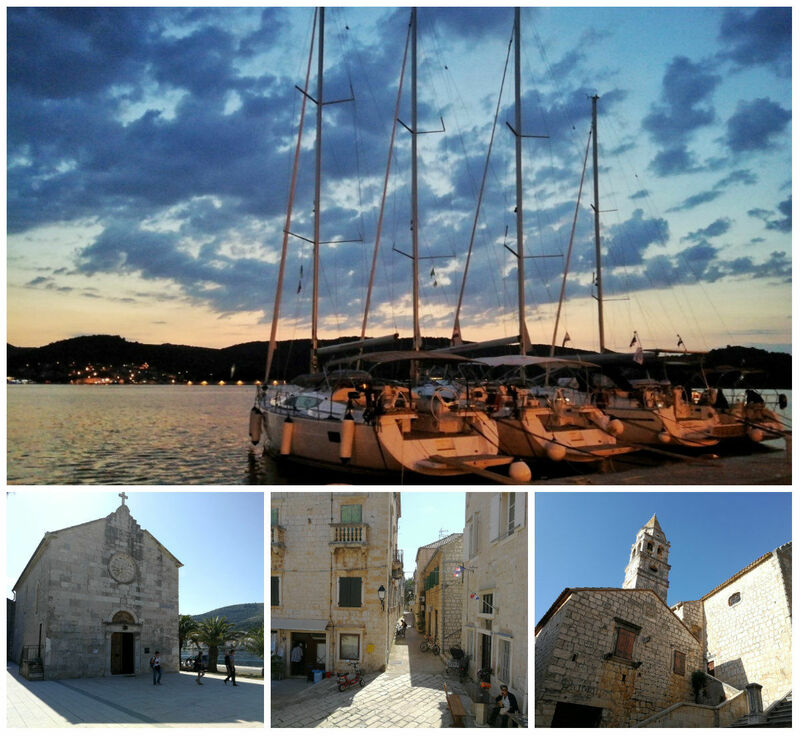 If you are staying in Vis town, a day trip to Komiža is one of the easiest trips. Buses travel between the two towns at regular intervals but make sure to check the schedule for the last bus. Set at 587 meters above sea level, Mt. Hum is the highest mountain on Vis Island. This place offers the most glorious views that you can imagine. 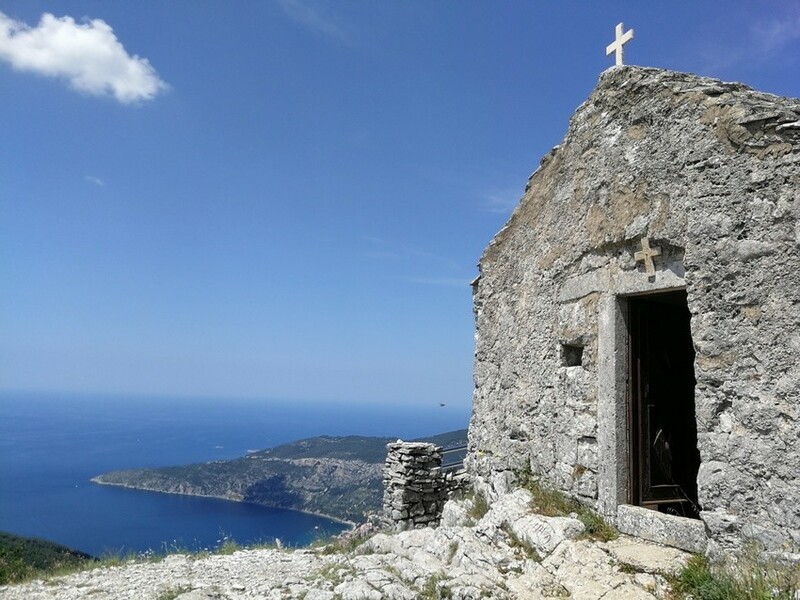 You can enjoy a bird’s eye view of Komiža and there is a cute chapel (Church of the Holy Spirit) build at the top. You can earn those panoramas by doing a two-hour hike from Komiža town, one of the more adventurous things to do in Vis. If you are too lazy for that, it is also possible to get there on a scooter. The best views are during sunset! Blue Cave, also known as Blue Grotto (Modra špilja) is stunning natural wonder located on the island of Biševo near Vis. There is an interesting phenomenon occurring every day when the sun is at the peak: the cave is flooded with blue light. I have never seen anything like this before! The cave is in its original state, and until 1984 it was only possible to dive inside. Then they created an artificial entrance, and this is where small vessels enter, bringing visitors in to experience the magic. The best light is between 11am and noon, when the reflection of the sun on the blue water lights up the cave the most vibrantly. In high season, this place is really busy and you might end up queuing for up to one hour. The entrance fee is 70 HRK. It’s not possible to go inside on your own boat. There are toilets and a bar nearby to make the waiting time more bearable. It’s a good idea to come in advance so that you get inside during the best time. You can organize a trip to Blue Cave from Komiža. Boats leave from at 8 am (50 HRK) and coming back in the afternoon. Alternatively, you can book a trip with one of the local travel agencies and combine Blue Cave with other locations. I went there with Mušun travel agency, run by a father and son. You can find their website here. Although I visited several beaches on Vis island, Stoncica was my favorite one. If I was moving to Croatia, I would be tempted to buy one of the few houses overlooking the Stoncica bay. The bay is one of the deepest and safest on Vis island. 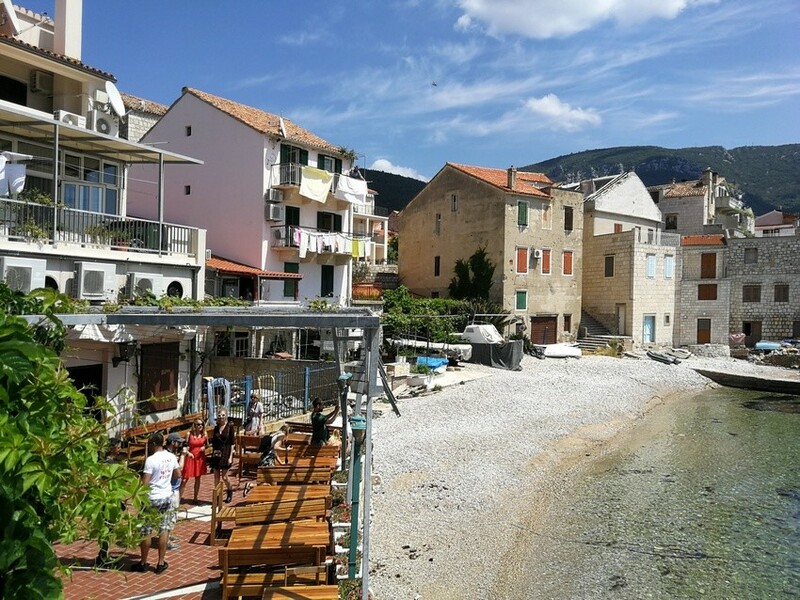 There is a sandy beach with easy access to the water and a restaurant that serves some of the most delicious seafood I’ve ever had just few meters from the water (Konoba Stončica, see below in the food section). 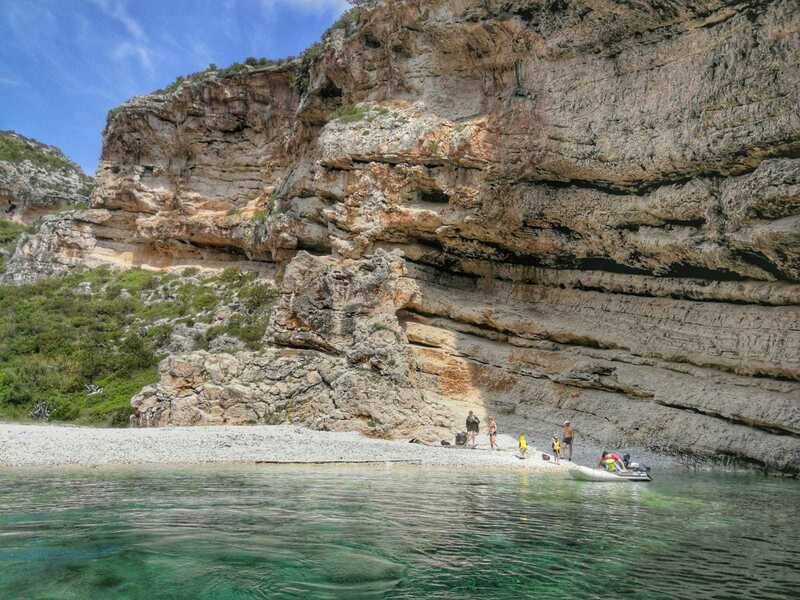 Spending a day in Stoncica bay is one of the most relaxing things to do in Vis. The beach is sandy, so you will not need your swimming shoes here! museum. Above the town, the English fortress is an ever-visible landmark. The city is big enough to provide for great sunset walks. End the evening with excellent seafood at one of the promenade restaurants. The city is pretty quiet but always becomes more lively with the arrival of each boat. They have a summer cinema, too. The posters around town keep you informed about the program. Thanks to its strategic remote location, Vis played an important part in the resistance movement during World War II. Until today, the island is home to a number of military buildings, bunkers and more. 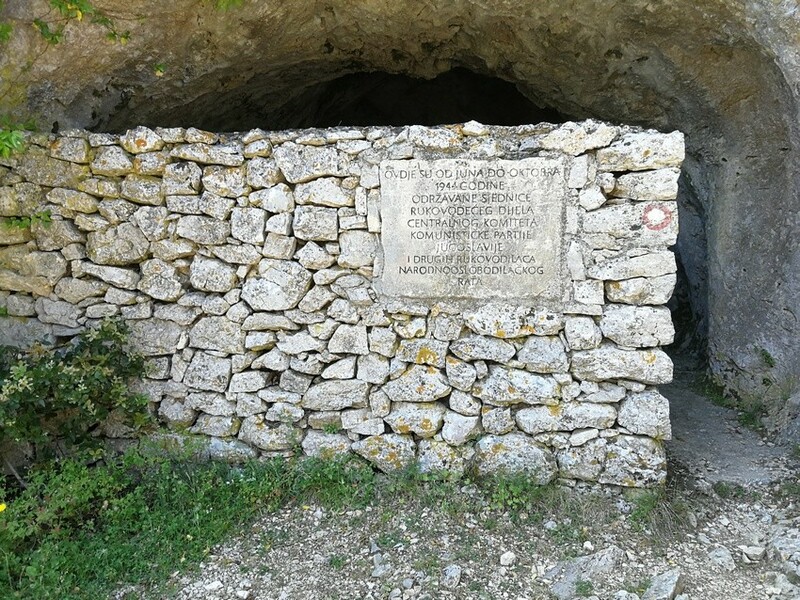 An interesting place to get a taste of this part of the island’s history is Tito’s cave, where the resistance leader Tito hid for several months from November 1943. After visiting Tito’s Top Secret Bunker in Konjic, Bosnia with all its advanced technology, I almost didn’t believe it when I finally saw the much simpler hideout on Vis. It’s really just a cave, but if you are into history, then its interesting to check it out. The best way is to combine it with a visit to Mt. Hum. When traveling to the cave, head toward Mt. Hum from Podšpilje (‘Under the Cave’). You will see the marker and steep stairs. I visited it with a guide, which is a good option if you want to hear the background story. However, you can just visit the place individually, and there is no entrance fee. When the film producers of Mamma Mia were searching for a location for the second movie, Vis was a top choice. It was unbelievably back luck for Greece and equally unbelievable good luck for Croatia. You can imagine how big of an event it was at the end of last summer, when such a remote island suddenly got a visit from Dominic Cooper, Pierce Brosnan, Julie Walters and others, along with the 1000-person film crew. The movie is coming out in July. When exploring Vis, you can find many scenes features in the movie. Filming took place at five locations on Vis, three in Komiza, one in Barjoska Bay, and one in gorgeous Stiniva Bay. If you are after natural wonders and have seen Blue Cave already, consider checking out Green cave, too. It is a little less spectacular, but still interesting to see when you are already out on the boat. 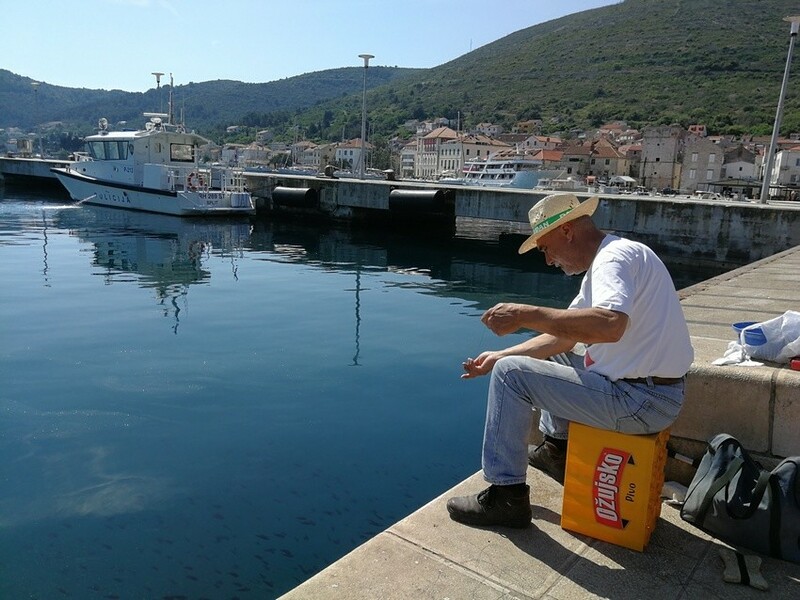 It’s located on a small uninhabited island called Ravnik, just a stone’s throw from Vis. Unlike in the Blue Cave, is possible to swim in the Green cave. Both the lifestyle and the cuisine on Vis island are defined by the word “Pomalo” (meaning slowly, or little by little). It defines the slow pace of life in general on the island. Vis has a great reputation when it comes to gastronomy and wine. Most restaurants are tiny, giving you the feeling you are sitting at a table in somebody’s house. The cuisine in Vis is not complicated; it is all about understanding and appreciation of fresh products. And as Vis was all about fishing in the past, it comes as no surprise that seafood is one of the best things that you can eat. One thing is clear: there is a of great food and wine on Vis island. Believe it or not, some of the best wines from Croatia come from here; you will notice many vineyards everywhere you go. There are at least two kinds of local wine that you should try: the full-flavoured red Plavac Mali and the dry white Vugava, cultivated in the island’s sandy soil for thousands of years. 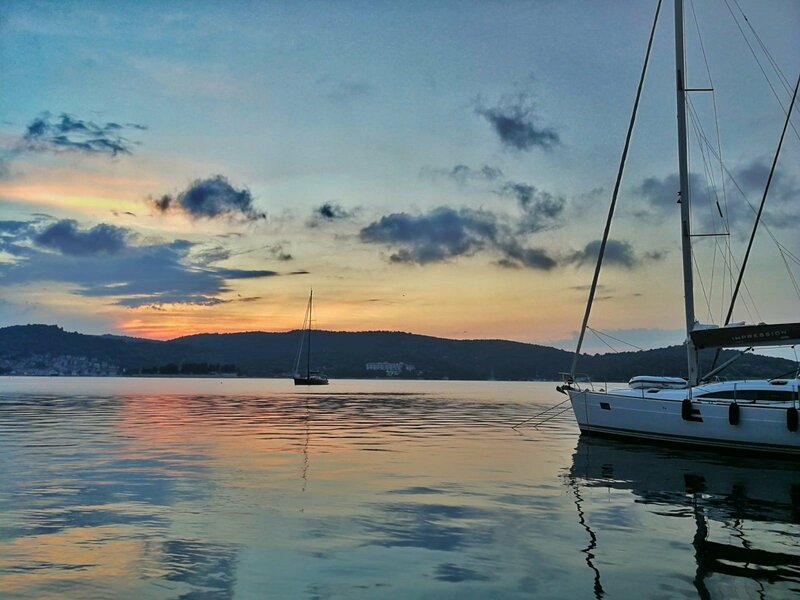 You will love the evenings in Vis: just pick a restaurant with a terrace and enjoy the food while watching the sunset. Pretty much every evening you can just sit outside on the terrace, eat some excellent food and watch the sunset. 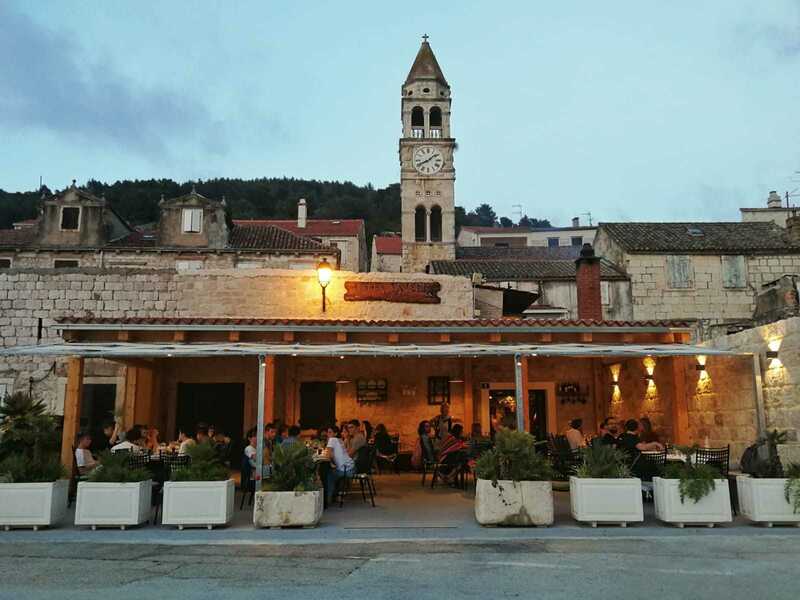 Konoba Vatrica is my favorite place to eat on Vis island. It has everything you might expect from a great restaurant; generous portions, amazingly fresh fish on the menu, and friendly staff. What I also loved was the location; you are seated on a vine covered terrace directly at the waterfront and can watch stunning sunsets over the harbor. This restaurant is pretty popular among both locals and visitors. Come early or book ahead if you want to get a table outside. This restaurant serves the best lobster dishes on the island. The venue is pretty special and elegant, situated in a pot-house overlooking the sea. Yachters love it, since they can anchor their boats under this “seataurant”. It’s pretty elegant and pricey (there is no such a thing as cheap lobster!). John Malkowich and few other celebrities paid their visit, too. In July and August, you should book your seats ahead. Located at Stoncica bay, this is the coolest restaurant in the neighborhood. They prepare amazing grilled meat on an open grill, and serve homemade French fries with it. The menu features some of the most popular Dalmatian dishes. Seating is outdoor near the beach, in the shade of bamboo. The staff in the restaurant are very friendly, giving it a homey and hospitable atmosphere. Eating at Villa Kaliopa is just yet another fine dining choice in Vis town. You will be seated under the shade of palm trees, bamboo and statues of a 16th century garden. The building once belonged to Milanese nobleman Francesco Garibaldi. This restaurant is popular among yachters, as its just a stone’s throw away from the harbour. The restaurant is little pricey, but the food is pretty amazing. As for Vis accommodation, I recommend you rent a private apartment. I stayed at Hotel Issa, and it was so outdated that I can’t recommend it (review on booking is only 6,5 out of 10). If you wanna stay in a boutique hotel, Hotel San Giorgio in the town of Vis is supposed to be really good. I have visited it and was stunned by an amazing garden and comfy rooms (far superior to Hotel Issa). For those of you who prefer self-catering, Airbnb is a great option. There are also plenty of apartments you can rent on the island. All around the island during busy season locals rent out their apartments to visitors. With Airbnb you can find a home away from home, and you can use my link here for $20 off your first booking. I’m just crazy about little paradises on earth! Love this post and all the useful information. As a beach lover, can’t wait to visit Vis one day. Especially the Blue Cave. It looks amazing! Wow such a lovely place. Why didnt I know about it before I visited Croatia? Darn. Btw mt hum looks like a great spot. That church is so similar to one I saw atop in ahill in switzerland – reminds me of that pretty place! What a great destination to visit especially if you love the beach. When I was in Croatia I only had enough time to visit the mainland and never got out to any of the islands. I would have loved to see the 17th-century houses in Vis. I love the beach and I would love to go to the places you featured here! The Blue Cave and the cliffs in Stiniva Beach look really beautiful and breath taking! The place has some awesome architecture too! I am indeed looking for unspoiled nature and stunning beaches 🙂 . Stiniva Beach is like my type of beach, it is hard to reach so a few people will make it. I am wondering to know if it is possible to go for scuba diving in the blue cave? Loved reading about Vis Island. Croatia is on my list of places to visit including Dubrovnik, Plitvice and Zagreb, and thanks to you, I am adding Vis to this! 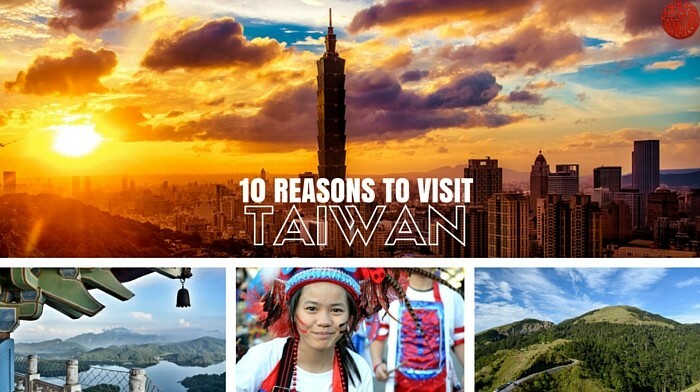 I would love to witness the caves and go hiking to witness the gorgeous views from the top beside the church! Loved this detailed guide. You have convinced me that this is one destination that I need to get to. 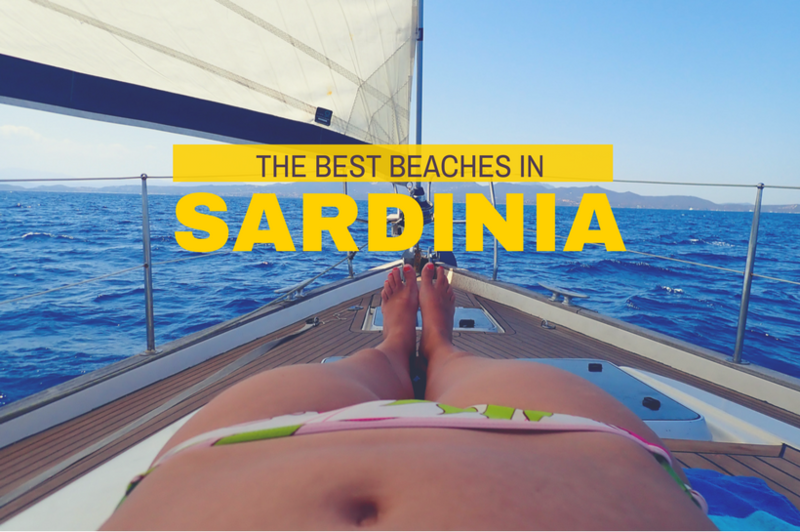 Such pristine beaches – especially Stiniva beach. it looks like a secret beach and so scenic. Love the Blue caves – perfect for me to explore. The fishing village too, is a place that I would like to walk around and check out. Beautiful place and lovely pics of it.